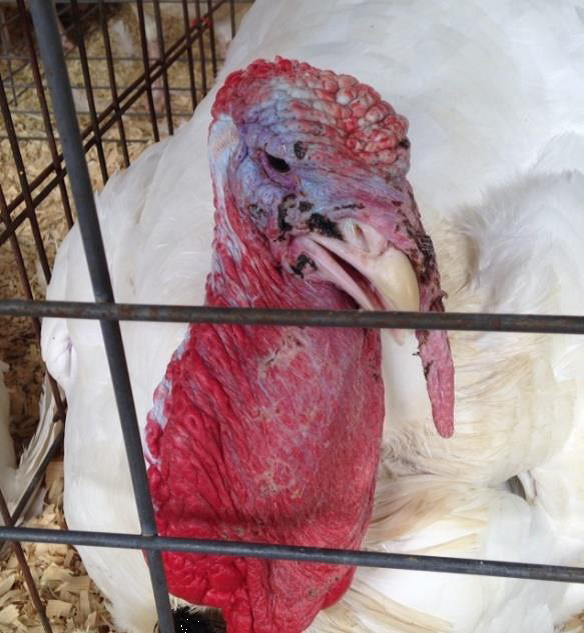 The end of 2017 is just ahead, and November is „Turkey‟ month with highlights including family Thanksgiving celebrations on and around November 23rd, and the official start of the Christmas holiday season with the Lighting of the Courthouse on November 24th. This autumn season is an exciting time with fall colors, shorter days and cool nights, the harvest in full swing, sports playoffs and anticipation of winter activities. On Veteran‟s Day, November 11th be sure to take time to honor our veterans and attend the local events celebrating this national holiday. Also, in this Update find details on the County‟s „Recycling Drive and Shred-It Day‟ on Saturday, November 18th at the County Highway Garage in east Newark.  A late October note. This Friday, October 27th from 4:00pm till 7:00pm you can enjoy Harvest Celebration and Final Farmer‟s Market of the Season at the Canal Market District in downtown. Homestead Beer Company in Heath will feature a seasonal release of their Harvest Pumpkin Ale, 40-plus vendors and „trick or treat‟ at the Market. Ohio‟s drug epidemic is a major factor, but not the only factor, in the recent Commissioner‟s decision to place a levy on the fall ballot to help cover the ever increasing costs for services to children. This is a critical community issue as the number of children in the care of the County has doubled over the past couple of years. This one mill levy would cost property owners about $35 per year per $100-thousand in home valuation. John Fisher, the Director of the County‟s Department of Job and Family Services explains, the current Children Services Levy continues to fall short of the need with growing numbers of children being served, some with more severe behavioral issues requiring increased residential treatment because of the parents‟ drug addictions. 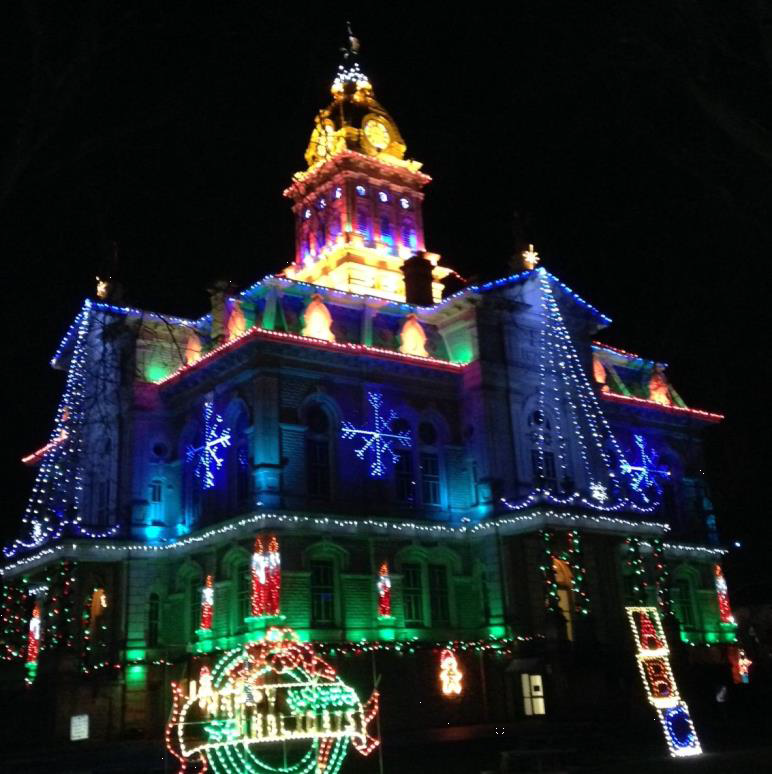 The 69th annual Courthouse Holiday Lighting is planned for Friday, November 24th. As in the past this community event will bring thousands of resident‟s downtown for the festivities! The longtime Christmas holiday tradition will feature the return of decorations on the historic and restored 1876 Courthouse, and on the lawn of the Courthouse Park. The community will also enjoy the new colored LED lights on the top of the Courthouse and on its Tower. 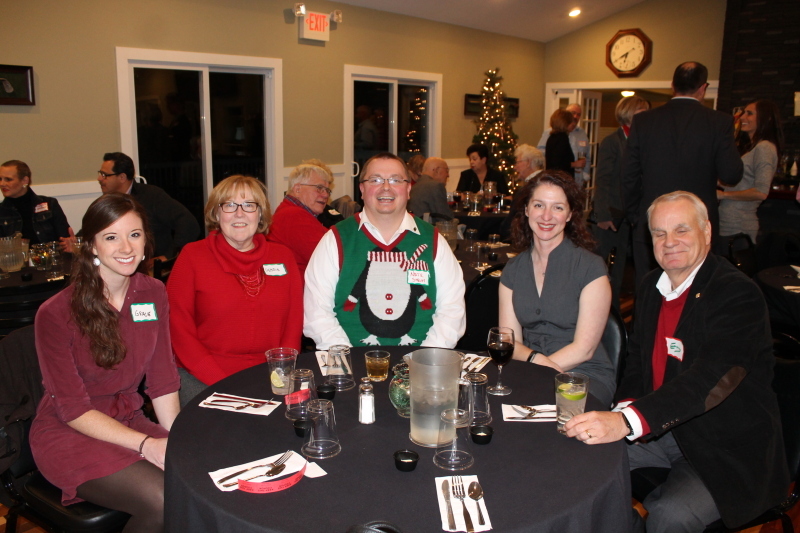 A special community sing-a-long is planned for the evening of November 24th, and Santa and a special guest will arrive around 7:00pm that evening to kick-off the Christmas Season in Licking County. Community contributions will be used for decorating the historic Courthouse and Courthouse Park, and to stage the Santa arrival program on this traditional Friday night after Thanksgiving! . Additional information on the project is available at the website: www.courthouselighting.com . In support of the Courthouse Lighting contributions are appreciated and may be sent to: Licking County Courthouse Lighting Committee - Post Office Box 292 -Newark, Ohio 43058-0292. * Also, this year the Courthouse Lighting Committee is pleased to again collaborate with the Canal Market District as they host their 2nd annual Christmas Market featuring holiday decorations, market food vendors, crafts and food trucks the afternoon and early evening of Friday, November 24th from 3:00pm till 6:30pm. Holiday celebrants can come to downtown Newark the afternoon of November 24th to enjoy the Canal Market District and stay for the evening festivities at the Courthouse Square! 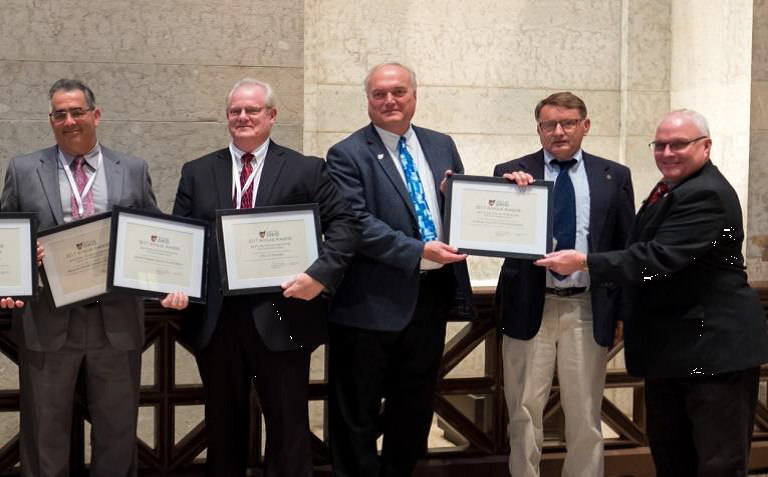 Two Licking County projects were among 20-projects, from across Ohio, honored by Heritage Ohio at their annual conference and awards ceremony. The group works to encourage community revitalization, preservation of spaces that matter and quality of life advocacy. 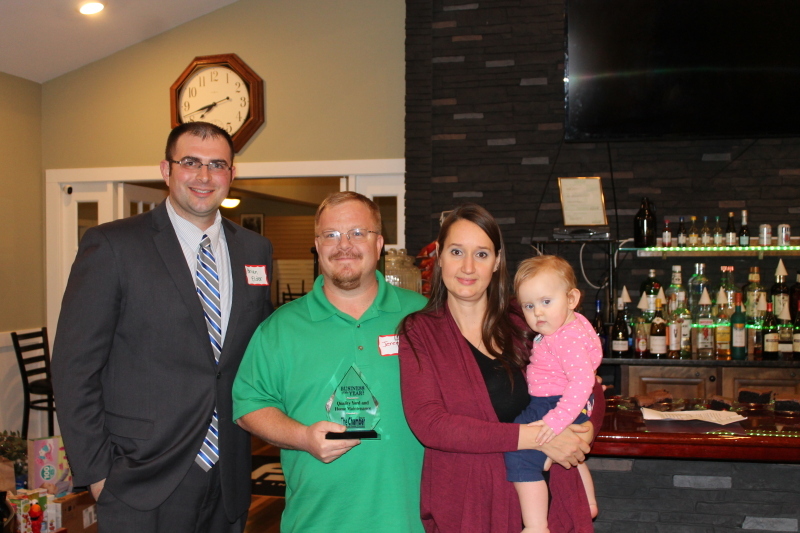 Director Steve Matheny and Granville Township Trustee Melanie Schott (photo above) accepted the award on behalf of the Granville community. 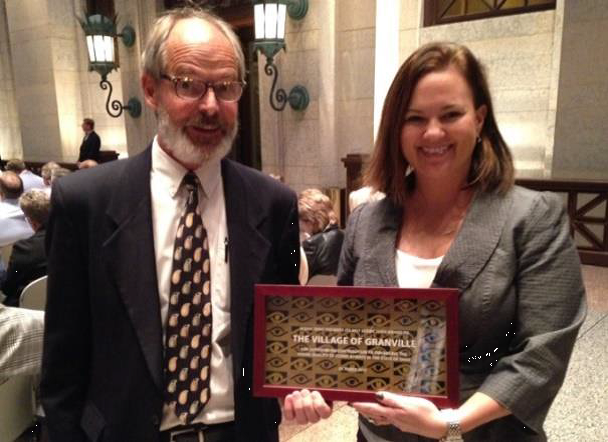 Receiving the Best Public-Private Partnership in the State from Ohio Heritage was Newark‟s Canal Market District. The Thomas J. Evans Foundation and the Gilbert Reese Family Foundation were recognized as the private partners, while the public partners were the City of Newark and the Licking County Government. (photo below l-r) Fred Ernest of the Downtown Development Partners, Newark Mayor Jeff Hall, and County Commissioners Tim Bubb, Duane Flowers and Rick Black were on hand of accept the award on behalf of the community. Best Public-Private Partnership Award is presented to an organization and/or municipality that has partnered and leveraged resources to complete a project with a positive lasting impact in the community, with a priority given to preservation based projects. The Canal Market District was described as a true collaborative effort that took the involvement of many parties. Newark now has an event space to host Farmers Markets and community events thanks to: The Evans and Reese Family Foundations, Licking County Commissioners, City of Newark, and Newark Development Partners. The $5 million space is host to 1,000 plus visitors each week. The Tuesday and Friday Markets generate average spending of $50,000/month in early season and $150,000/month during prime months. The market accepts a complement of SNAP, WIC and nutrition program coupons. This collaborative project has been successful in serving several market and community entertainment needs. Heritage Ohio is the statewide, not-for-profit preservation organization, dedicated to encouraging and assisting people and organizations to protect, preserve and revitalize Ohio‟s heritage. The City of New Albany is offering a 7-year tax incentive deal to Amcor Rigid Plastics USA to expand its 120-thousand square foot family in the Park off State Route 161 and Beech Road. The company, under the deal, would expand its facility of 60-thousand square feet for an estimated total investment of $3.77-million. Employment would grow to 110-employes at the site and boosting their annual payroll by $238-thousand. The increase in income tax collections would benefit New Albany, Columbus (the utility provider) and the Johnstown-Monroe Local School District. While on the Newark Campus of OSU-COTC recently, for a statewide conference, I was reminded how the donations of dozens of pieces of artwork has added to the quality and uniqueness of our public places. 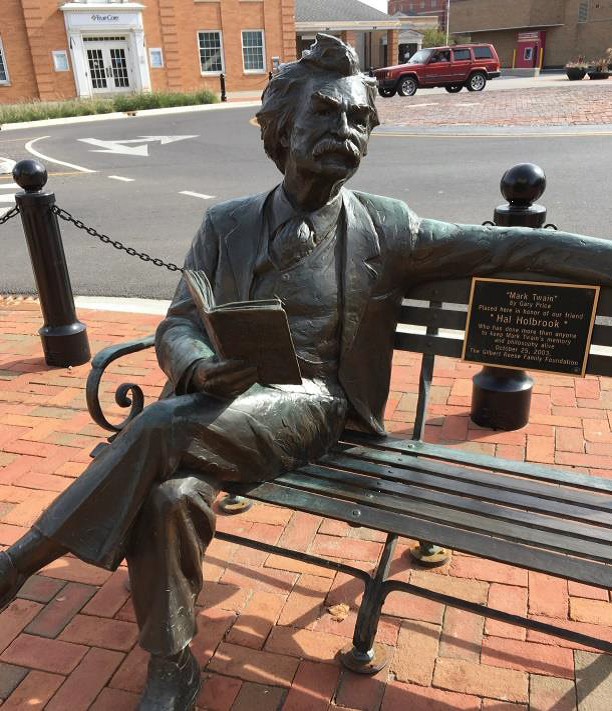 on a bench, is “Mark Twain” by sculptor Gary Lee Price. The plaque says, “Given in honor of friend Hal Holbrook, who has done more than anyone to keep Mark Twain‟s memory and philosophy alive”. This was dedicated October 2003 by the Gilbert Reese Family Foundation. Whether at the Newark Campus, the Licking County Main Library, the Licking County Administration Building, the Midland, in Granville, the Courthouse Square, Canal Market District, along the bike paths and a number of other locations - these pieces have added considerably to the local quality of life. To encourage everyone to enjoy this public artwork, I plan to feature groups of photos of them in my newsletters in the months ahead. Below is “The Circle of Friends” by sculptor Gary Lee Price. 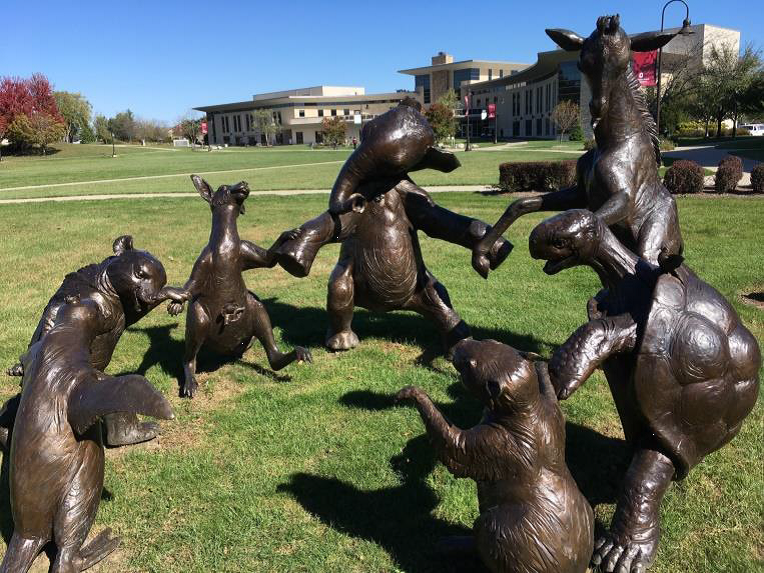 This fun loving piece depicts a variety of animals dancing in a circle at the Newark Campus of OSU-COTC. This piece was donated to the Campus by the T. J. Evans Foundation. This piece is titled “The Patriots” by sculptor Reed Jensen and was donated by the Gilbert Reese Family Foundation. It is located in the Foundation Courtyard in front of the Licking County Foundation building on North Second Street in downtown Newark. 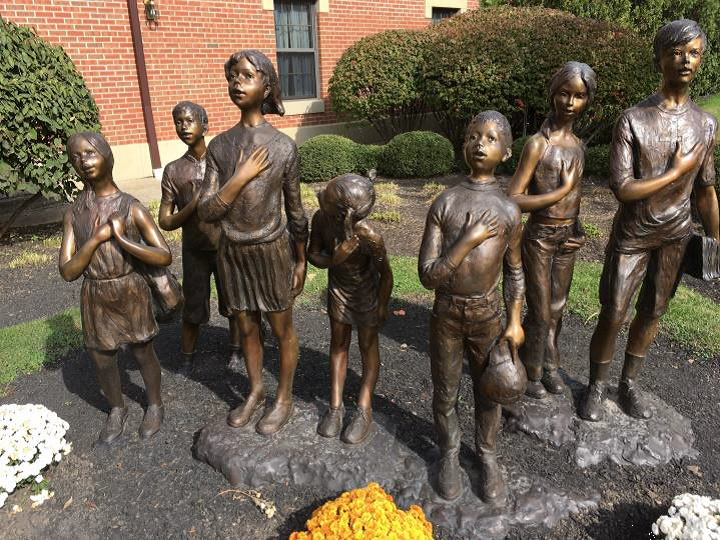 The seven children depicted are pledging allegiance to the American Flag. This piece by sculptor Gary Lee Price is one of a series on the Newark Campus of OSU-COTC. The collection is called „The Creators‟. Here an aging Benjamin Franklin is depicted reading a copy of Poor Richard‟s Almanac and holding the „key‟ to the discovery of electricity. 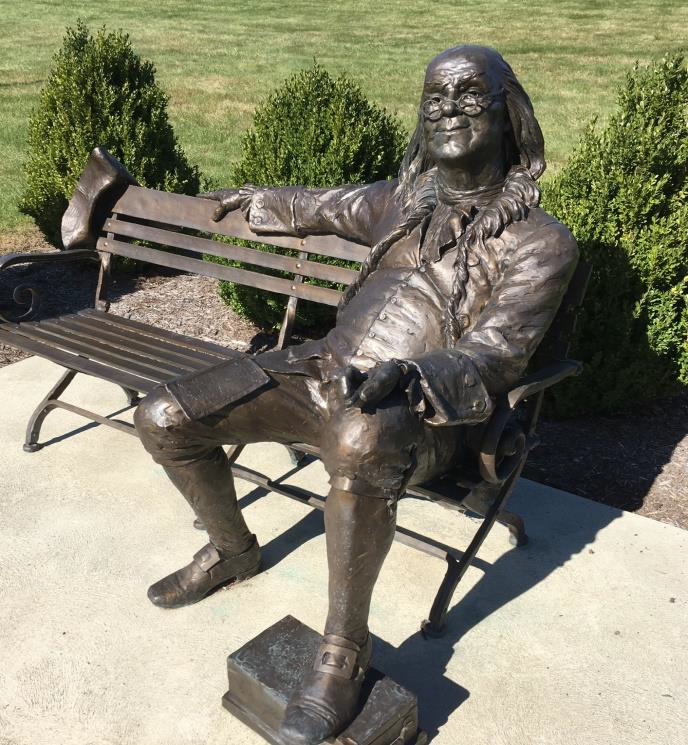 The T. J. Evans Foundation donated “Franklin” and several other works, described in the words of creator Price, “All mankind becomes the beneficiary of great „Leaps of Faith‟ and oftentimes we marvel and stand in awe at these „Great Ones‟ and their contributions to humanity”. This piece is titled „Generation Bridge‟ and is the work of sculptor Seward Johnson. Grandfather is offering a Hersey Bar and the granddaughter‟s doll is on the bench. 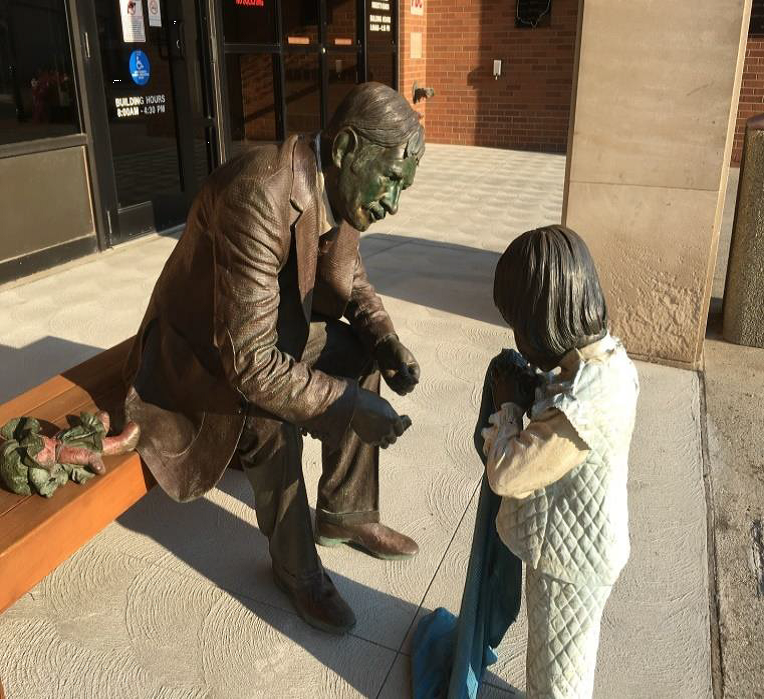 It is located in front of the Licking County Administration Building at 20 South Second Street in downtown Newark. This public art is courtesy of the T.J Evans Foundation. I hope you enjoy this planned continuing look at public art, and take time to visit and appreciate them in the places where they are featured. On Saturday, November 18th from 9:30 am till 12:00 Noon – rain or shine – it is the annual „Recycling Drive & Shred-It Day‟. The location is the Licking County Highway Garage Parking Lot at 775 East Main Street in east Newark. Sponsors include Licking County Recycling, Licking County Records and Archives, Shred-It and the CFLP Solid Waste District. Featured is FREE document shredding, battery recycling and electronic waste recycling. * Note – NO TV‟s or large appliances accepted. Items accepted for shredding include financial and legal documents, receipts, tax and medical records and other personal documents. All documents must be removed from binders and notebooks, and arrive in boxes with the lid taped shut – NO BAGS. Documents are shredded on site. Licking County Soil & Water Conservation District is holding its Board of Supervisors election now through November 8, 2017. All Licking County residents are encouraged to vote! Conservation Districts are locally organized, self-governing bodies chartered by the State. Through voluntary action and cooperation with landowners and other stakeholders, Soil & Water works to conserve Licking County‟s natural resources for the benefit of all. The Licking County Soil & Water Conservation District (LCSWCD) has a five-member Board of Supervisors elected by landowners and residents of Licking County to help guide the District‟s mission. Two Supervisors will be elected to a 3-year term commencing on January 1, 2018. Candidates are Frank Aransky, April Beggerow, Anthony Burger, Bill Goodman, Chris Monroe and John Wagy. 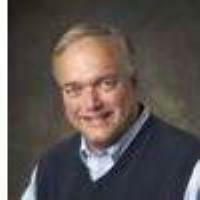 For more information about the candidates and voting, visit the Licking Soil & Water website at www.lickingswcd.com or call Licking Soil & Water at 740-670-5330. Licking Soil & Water‟s mission is to promote conservation of natural resources through local leadership, education and technical assistance. In January Licking County Prosecutor William Hayes established the “Prosecutors Service Award, Top Cop of the Month.” The “Top Cop of the Month” in Licking County, is awarded to a law enforcement officer for their „steadfast and exemplary case work‟, and their dedication to serve the citizens of Licking County and fellow police officers. The Top Cop of the Month in Licking County for July was awarded to Sheriff‟s Deputy Nicholas Shuster. Shuster was born and raised in Lorain. After high school, Nick attended The Ohio State University and Columbus State Community College. He earned his OPOTC Basic Police Academy certification after attending the Central Ohio Technical College police academy. In February 2016, Shuster was sworn in as a Reserve Deputy Sheriff and later that year became a full time Sheriff‟s Deputy. In October 2017, Deputy Shuster was awarded the Sheriff‟s Office‟s Gold Star award as a result of his selfless acts while responding to an active shooter and officer down call on May 12, 2017. This award is presented to an individual who performs an act of outstanding bravery or heroism while at the risk of death or personal injury. Finally, just sharing a summer photo from the front yard of Dale and Sandy Knerr in west Newark. 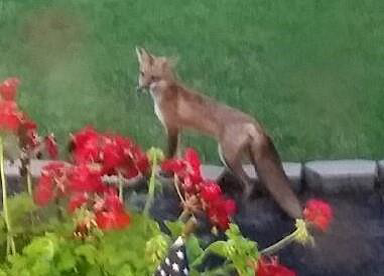 I like to feature photos of wildlife and this young red fox seemed curious about the flowers. It is amazing how adaptable these small wild animals are as they make their dens in suburban residential environments!